Jeff Glucker October 2, 2014 Comment Now! To truly test a brand new tire, you have to abuse it. You have to beat it up, thrash it, and run it as hard as you can. If it can last through the punishment unleashed upon it, it should be able to handle anything the average consumer throws its way. That's fine for street tires. Strap them on a set of wheels, put said wheels on a fast car, and head to a race track. Lap after lap will provide the driver with a whole heap of information from how the tire is performing to how its wearing out. 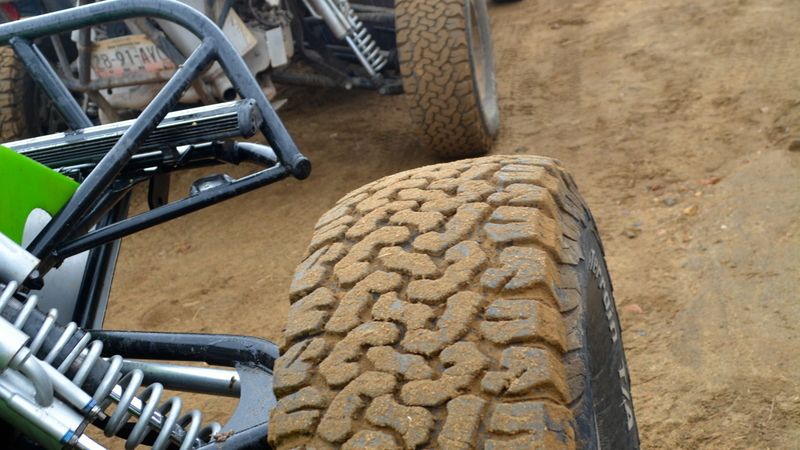 What do you do if you have an off-road tire though? Well, you'd think it'd be as simple as popping these tires on a truck and hitting a few trails. That might be fine for some, but the folks at BFGoodrich are a bit mental when it comes to the performance of their rubber. 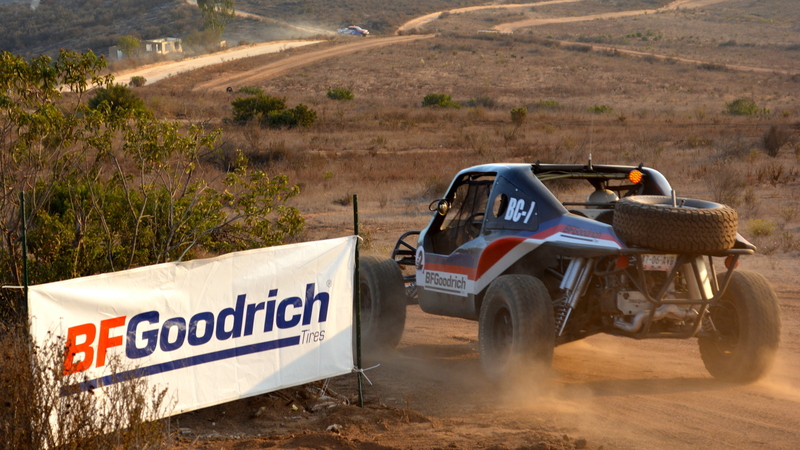 They should be mental though, because BFGoodrich tires have a part of 80 wins down in Baja. In order to keep up that pace, they have to be putting out some damn good rubber. For years, the BFGoodrich KO tire has been just that... but now it's evolved, and it's better than ever. 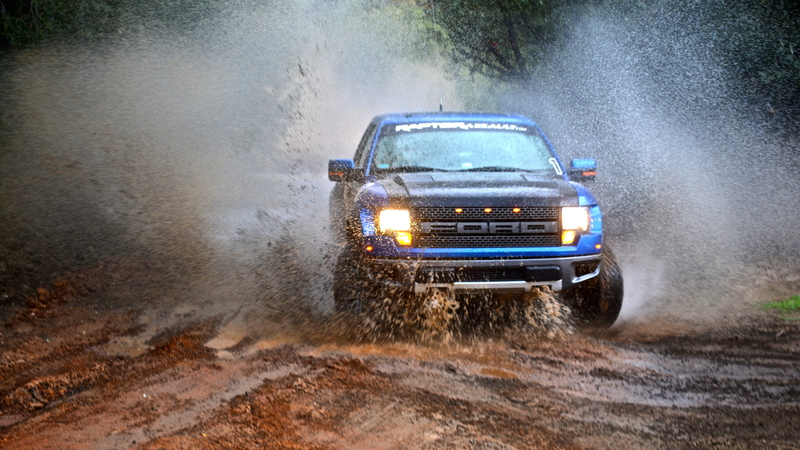 We trekked down to Baja, Mexico to see what the new BFGoodrich KO2 is all about. An all-terrain tire is one that is designed for vehicles driven on the street, but ones that also like to get dirty at certain times. That means these tires need to be able to handle anything a trail can throw at its usually delicate sidewalls. In fact, according to BFG, the majority of tire failures occur in the sidewall area through rips, tears, and fissures. The manufacturer has decided to apply its race-proven technology found on its KR2 racing tire, and created an extremely tough sidewall that's built to be treated poorly. In fact, it laughs while it's being hit... the sidewall has a problem, and it has no desire to see a doctor. It's not just a strong sidewall that off-roaders are looking for though, as traction is rather important to keep things moving in the right direction. Due to the design of the shoulder rubber and the tread footprint, BFGoodrich states that the KO2 has 10% more traction in mud and 20% more traction in snow compared to the outgoing KO tire. Now, the KO was never a slouch, but after spending a few days battling Baja's toughest terrain we think those numbers might even be low. Well, minus the snow bit seeing as there were no flakes falling from the Mexican sky. We did get a bit of rain though, and the conditions varied greatly out on the trails. Our starting point was Ensenada, which serves as the starting point for the Baja 500 and the 1000. From there we headed inland into uncertainty and a rising altitude figure on the GPS. 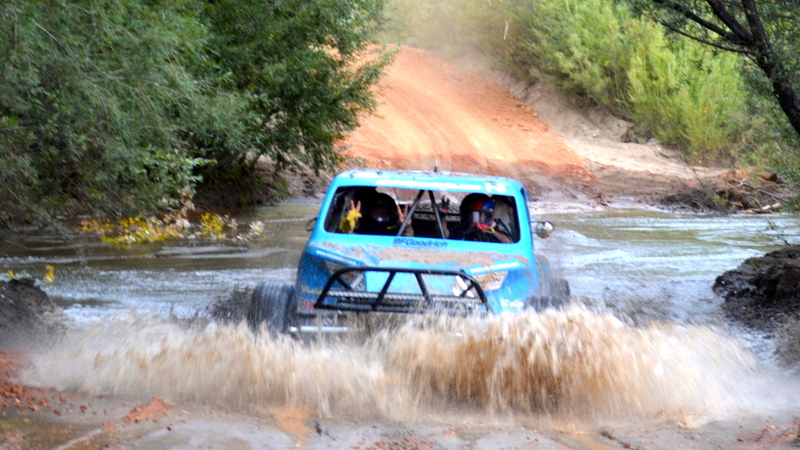 Our main vehicle was the Baja Challenge Buggy used by the crew from Wide Open Baja. It's a tough-as-nails machine with tons of suspension travel, a 1,600-cc Volkswagen engine, and a fairly simple four-speed transaxle gearbox... which costs about $12,000, so don't break it. A handful of Ford Raptors were also along for the journey, and all vehicles were obviously equipped with the new KO2 tires. The day started fairly easily as we traversed a few whoop-laden trails. This quickly changed, however, as stable dirt started to give way to loose rock-covered hill climbs, muddy sections, soft shale, dust blasted high speed sections, and even a few water crossings. It was clear that BFG wanted us to see just how tough these tires actually are, and the proof came quickly. This is the type of stuff that the average off-roader won't see. 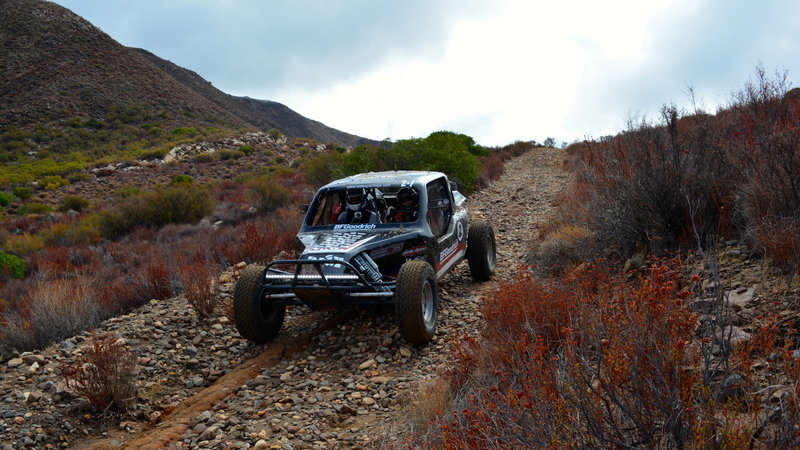 The trails we traversed are actual trails used during the Baja races. They're brutal, hard on the vehicles, and hard on the bodies piloting the vehicles. To say they're also hard on the tires is an understatement. There was an equipment failure with one of the buggies, as a driver managed to run out of talent and ruin some suspension, but the tires all held up. We later came to find out that some of the tires in the group weren't even brand new. They'd actually seen a few thousand miles on the buggies in actual racing scenarios. You couldn't tell by looking at the tread, as all the tires looked ready to go... and they were. After a night spent out at Mike's Sky Ranch (an off-road mecca in the middle of nowhere, Mexico), we trekked back toward the beaches of Ensenada. The dust finally began to settle, the buggies were sent back into the hills, and all of us in attendance began to watch the sun set over the Pacific Ocean. Beers were served, tales were being told, and hot showers were a not-too-distant dream. The one thing on everybody's mind, however, was the truly stellar performance of BFGoodrich's latest tire. They didn't need us to prove that the tire was any good though, as a pair of motorsports standouts were also part of our group. One of them, Bryce Menzies, had already sampled the tire on his fire-breathing Trophy Truck. He did so last year, when he used the KO2 to win the Baja 500.